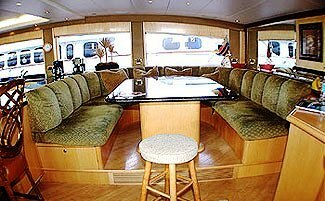 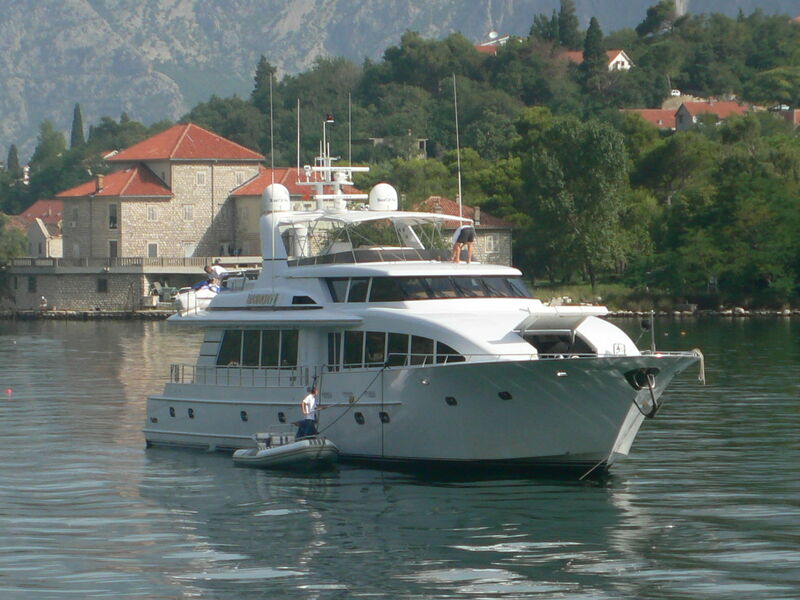 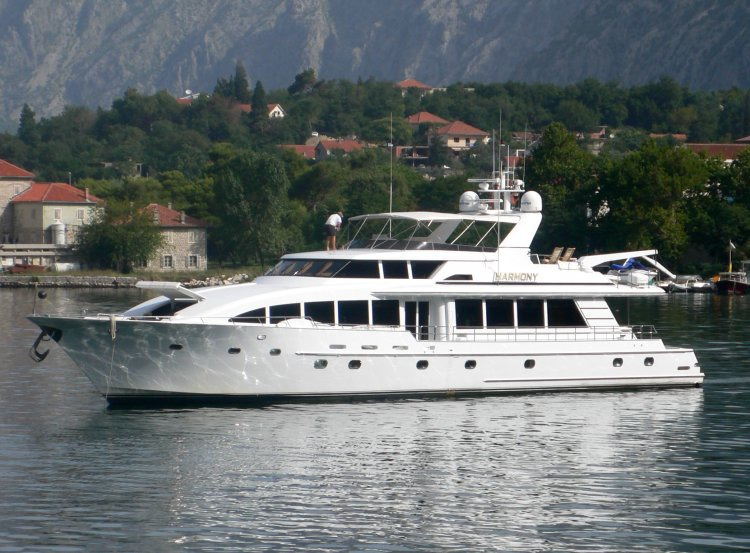 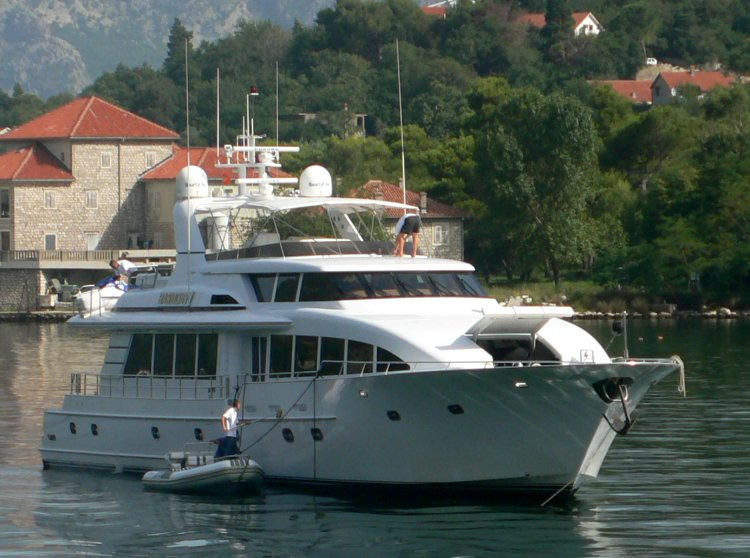 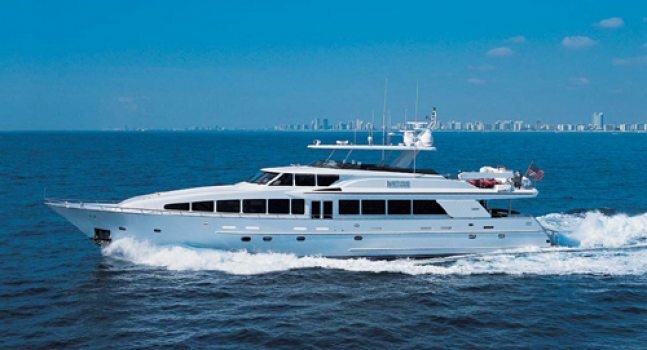 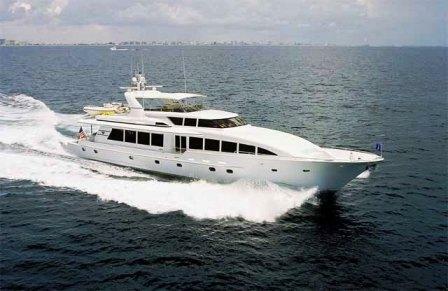 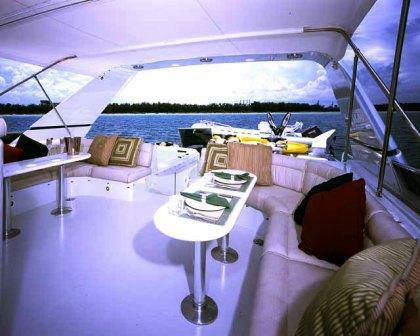 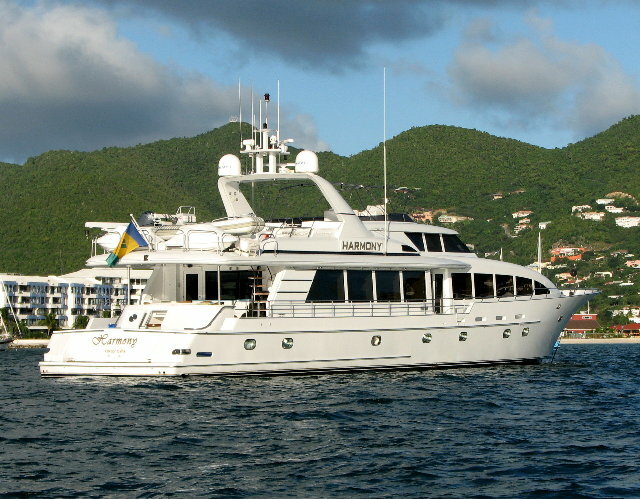 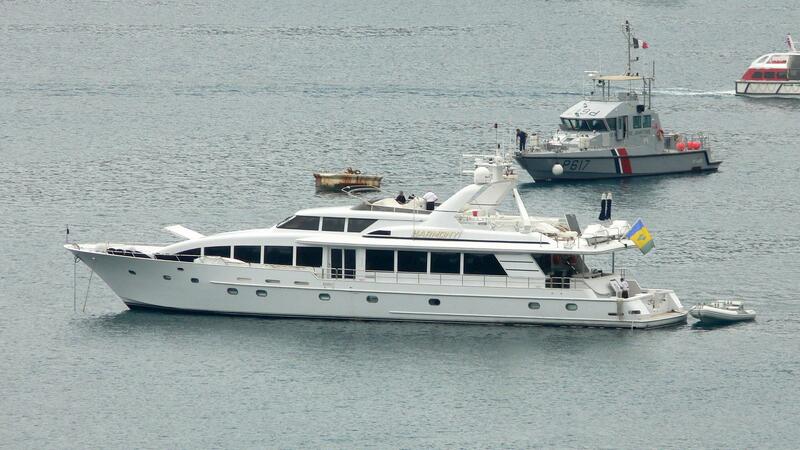 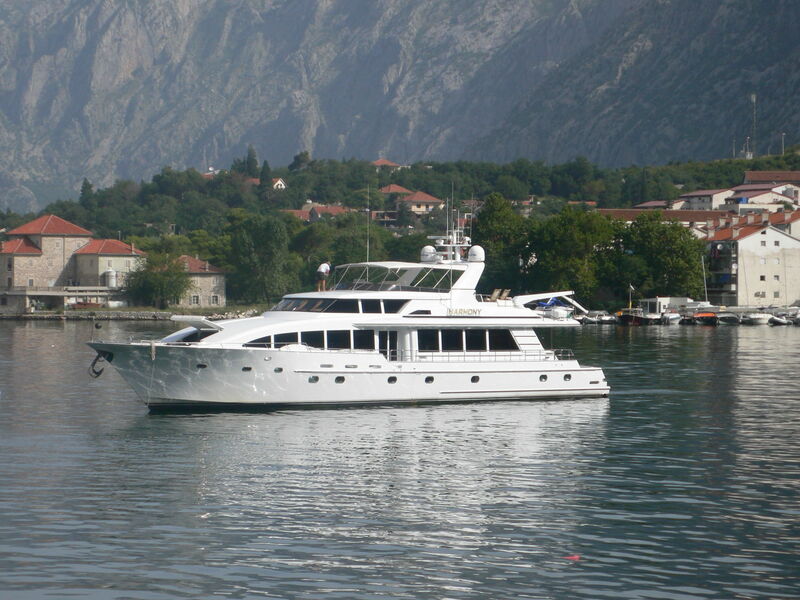 Harmony is 115 foot Crescent motor yacht and is ideal for a relaxing cruise. 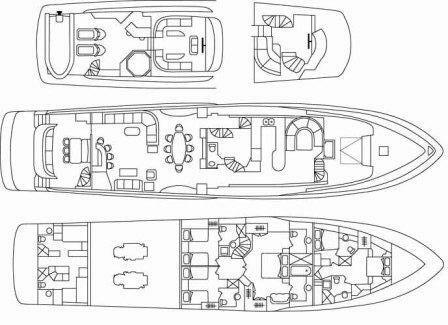 She provides a superbly fitted master & VIP cabins along with two further twin guest cabins and can very comfortably accommodate up to 8 guests. 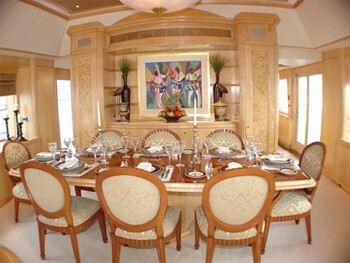 Crewed yacht Harmony features a rich interior design which both functional and beautiful. 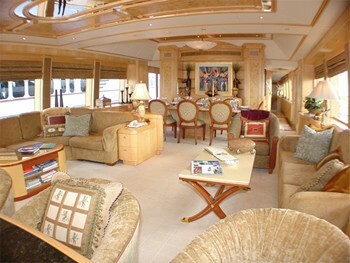 Her design also allows easy traffic flow, open light spaces and a soothing ambience. 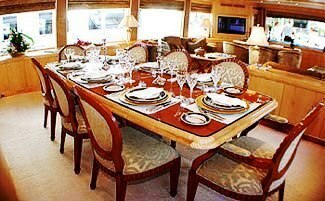 Formal dining in the main salon is always a pleasure aboard Harmony as is more casual al fresco seating on the aft deck and fly bridge. 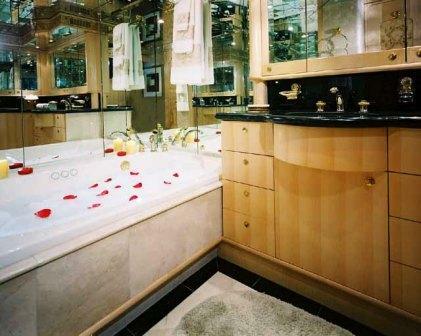 There is always an area too enhance your mood. 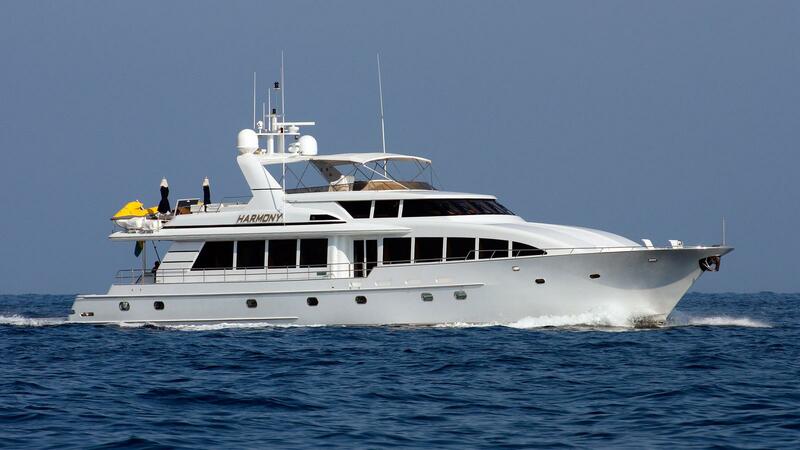 Motor yacht Harmony’s impresses with her 6 Guest open air Spa Pool which is located up on the top deck where there are lovely panoramic views. 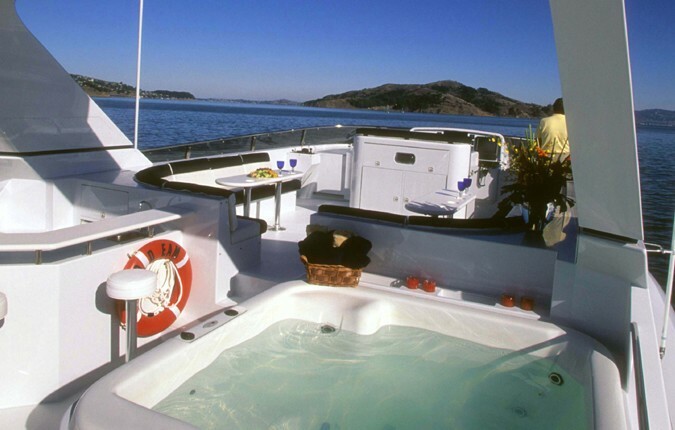 Harmony offers some very modern equipment and water toys to further your relaxation, enjoyment and luxury whether indoors or out. 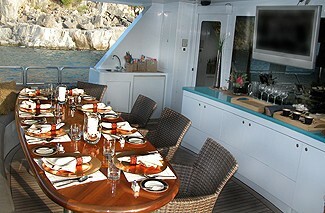 The yacht is excellently supported by a professional crew. 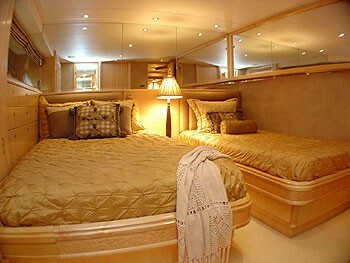 Harmony can accommodate up to 8 quests in 4 lovely staterooms. 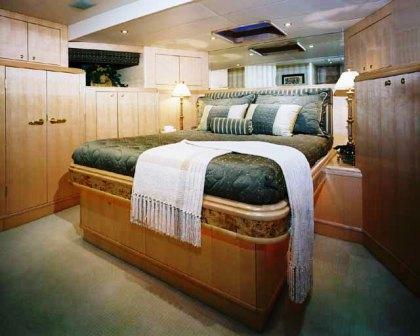 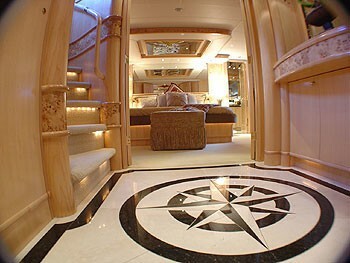 Her main Master Stateroom is located below Amidships and features a fantastic a walk around King sized Bed. The master also offers two private ensuite areas with 'his' washing basin and enclosed shower and a 'Hers' washing basin as well as a generous Spa Pool Tub. 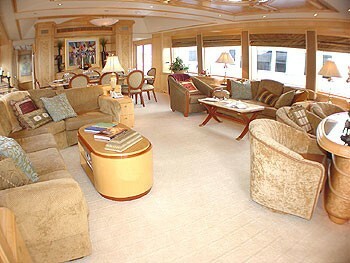 The Master cabin also boasts a Sony Electronic Entertainment Center with TV & VCR & DVD & CD & AM/FM HiFi Stereo. 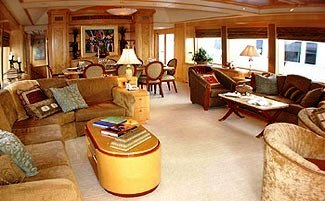 There is also a Queen VIP Stateroom which is positioned forward. 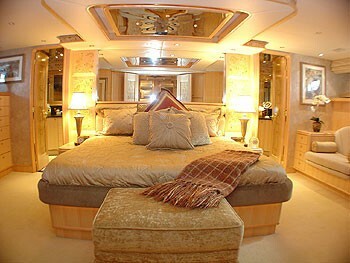 The VIP also offers a walk around Queen sized Bed, en suite bathroom with shower as well as TV & VCR & CD & DVD & AM/FM Muxic Stereo. 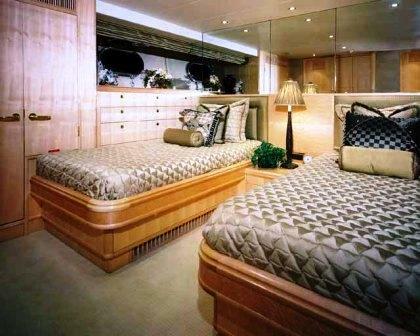 The two further Twin Guest Staterooms are and provide Twin Beds, a ensuite bathroom with shower and TV & VCR & CD & DVD & AM/FM Stereo entertainment. 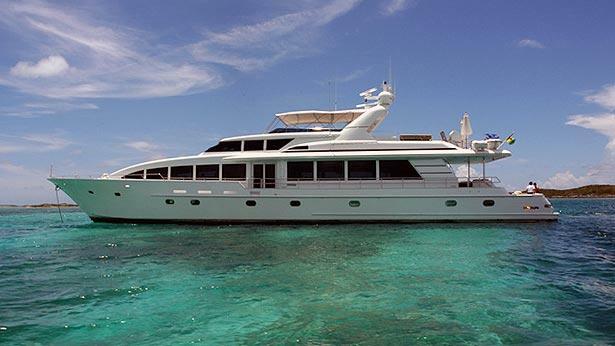 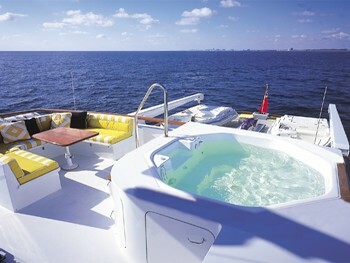 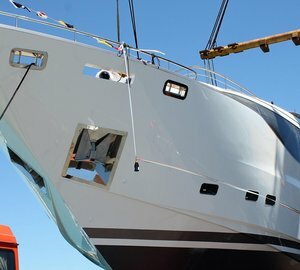 Luxury motor yacht Harmony is fully air conditioned through out. 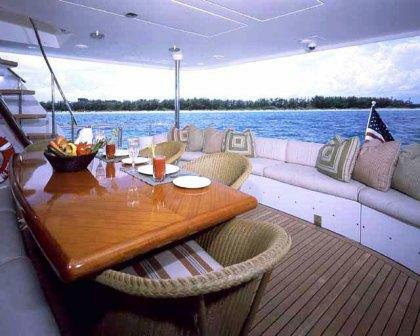 Smoking is allowed out on the deck. 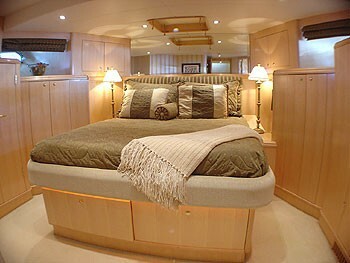 The crew has a separate companionway, accommodation, heads and shower. 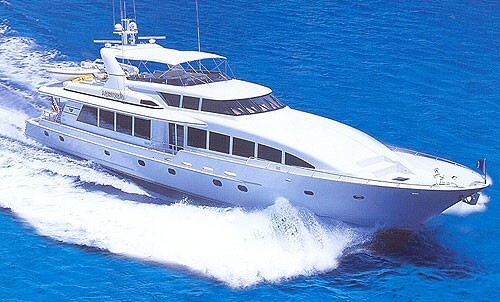 Motor yacht Harmony comes fully equiped with the following yacht amenities and extras: a Stereo music system, DVD, VCR, CD Player, Satelitte Television, Cellular Phone, Fax SAT,Internet & E-mail, a Spa Pool in the Master cabin, a Spa Pool on the deck, BBQ, Swimming Platform off the aft, Snorkeling, Diving by arrangement, a 19 ft Novurania tender with 115 HP, Towing Rings and two one man kayaks, Fishing gear, Water-skis and 2 Wave runner jet skis.